we offer 6061 aluminum plates to satisfy the requirements for many industries.Use a wide range of Alloy promising. Anodizing can also be painted on enamel, adapted for building decoration materials. Containing a small amount of Cu, and therefore the strength is higher than 6063, but the quench sensitivity is higher than 6063, air quenching after extrusion can not be achieved, re-solution treatment and quenching aging, in order to obtain higher strength. 6061 aluminum plate is used in many exposed applications due to its good corrosion resistance and ability to tolerate varying temperature levels. It continues to perform well in outdoor or slightly corrosive environments without losing its strength, heat resistance or surface finish. 6061 plate is easy to machine and stamp to tight tolerances and can be welded. Coatings adhere to the surface and are long-lasting. 6061 bare aluminum plate of haomei aluminum . can be processed into varieties of tempers, such as O, T4, T6, T651, etc. Among them, T4 and T6 are the most common ones for their good machanicability and weldability. Therefore, 6061 bare aluminum plate is generally used industrial structure frame, which requires high anti-correction, such as truck, construction, ships, trolley bus, railway transit, etc. 6061 Aluminum plate is used for larger parts that are exposed to outdoor or lightly corrosive environments. These include aircraft landing mats, large and small marine vessels, structural architectural parts, storage tanks and highway signs. In China, haomei aluminium plate is the most competitive aluminum manufacturer. 6061 aluminum plate of Haomei Aluminium has been shipping to United States, Canada, Brazil, Chile, Mexico, Columbia, Argentina, Germany, UK, Italy, Spain, Bulgaria, Netherlands, Serbia, Ukraine, Saudi Arabia, UAE, Iran, Bangladesh, Tunisia, Algeria, Nigeria, South Africa, Ghana, India, Vietnam, Thailand, Korea, Singapore, Indonesia, Philippines, Australia, New Zealand, etd, more than 60 countries all over the world. and our products have been already sold abroad and won good praise from customers. As a famous manufacturer and supplier of aluminum sheet, aluminum foil as well as aluminum coil, haomei Aluminum can provide aluminum products from 1000 series to 8000 series. 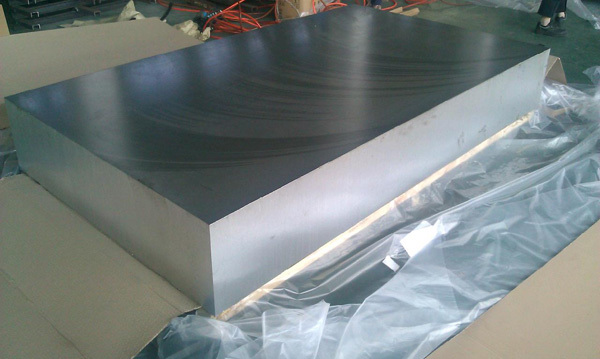 6061 aluminum plate belongs to 6000 series aluminum alloy, and it has a pretty vast application. Besides, 6061 aluminum palte of haomei aluminum .has won good praises in domestic.